Literally a beyond easy way of giving some new life and edge to your outfit. I find I get in the rut of wearing the same 4-5 pairs of jeans around this time of year because I start to feel a bit uninspired in general with my style – making an easy switch to these cute leather leggings from Aritzia instantly added new life to my look! These are also a great < $100 option. 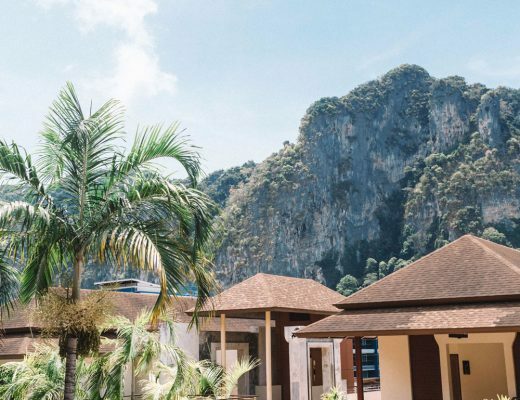 I find I’m often going for the greys and the camels and the sand tones this time of year – they just go with everything so it feels like the easiest option. But adding in a pop of colour, whether it’s this cobalt blue toque (or beanie, for non-Canadians) I have or the super luxe soft rose tone of my White + Warren cashmere beanie, instantly makes me feel way more in love with my look. 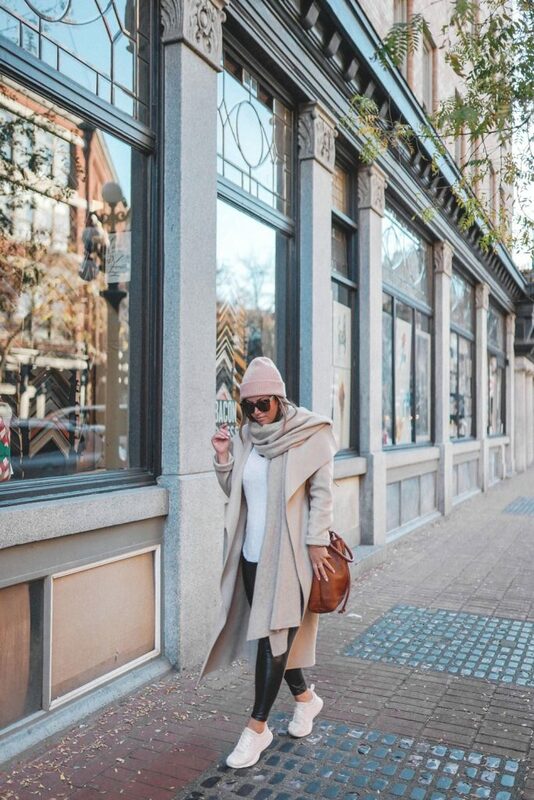 I’m a big fan of blush tones in particular around this time of year because I find they go so well with my favourite neutral (which is a sand tone), but I also love the look of more bold tones like crimson red with neutral coats! Boots are my usual go-to around this time of year (either knee-high, over-the-knee or ankle) but I’ve been a huge fan of my APL’s since this summer so find I’m rocking those more and more often. It helps add a sporty edge to your look and I’m also loving that they’re easier on your back, something I’ve gotta be aware of since I have some low back issues! I usually spend most of my winter stomping around in boots so have been loving this switch-up. Also, bonus points if they’re a fun tone! These blush APL’s go perfectly with my toque. 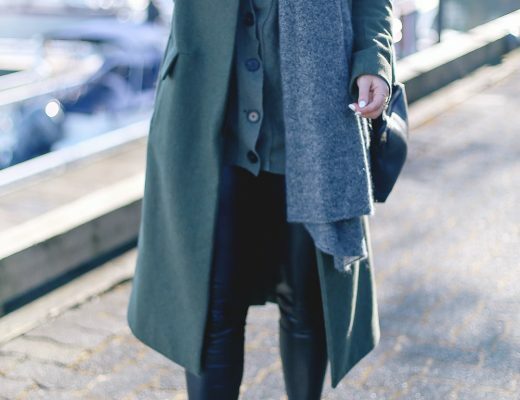 Sometimes, making a much-loved overcoat feel new again can be as simple as strategically wrapping a blanket scarf around you! 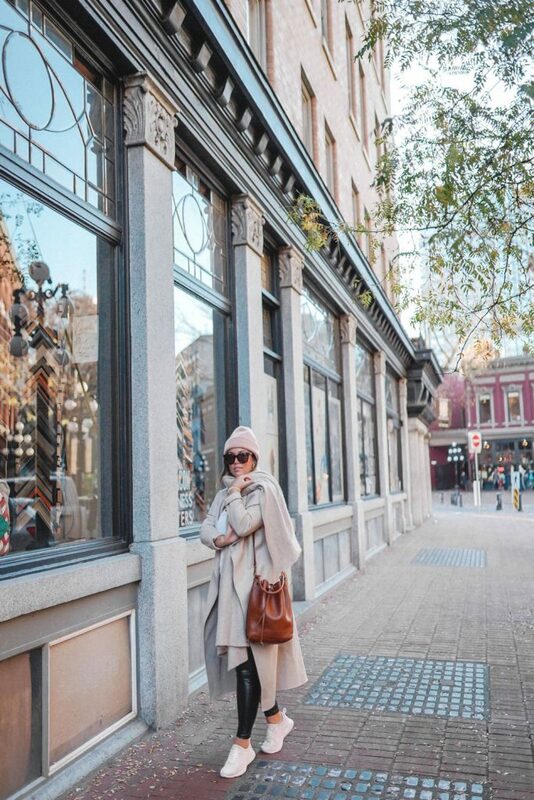 I share how to do it in a really chic but secure way here and as you can see, since the blanket scarf is such a statement piece it really gives my outerwear new life. Whether it’s opting for a white tee or going a step further and going for white denim or even white outerwear, white will make any outfit look fresh and helps break up a look. And there you have it! 5 super easy ways to update your wardrobe, with pieces you likely already have in your closet. Do you guys have any tips for getting through these last months of winter? Tell me in the comments below! Aw thanks so much Brianna! Love all the suggestions. Totally agree that it’s sobeasy to get caught up in the jeans and boots trap. Wondering where your Jacket is from though? Your outfit is simply stunning! Keep on rocking.